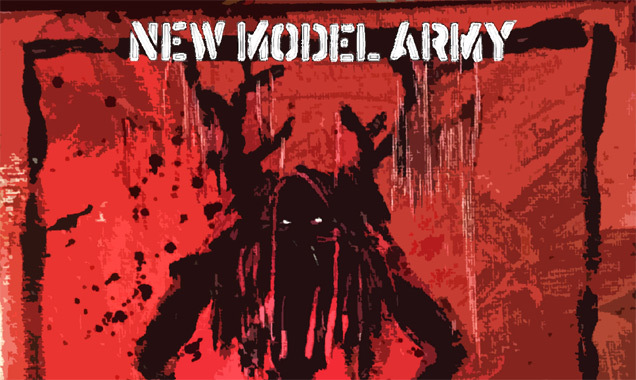 Entitled 'Between Wine and Blood", New Model Army will release this new album on September 8th. The album is both a brand new studio mini-album of 6 new songs and an 11 track live album recorded on the band's current "Between Dog and Wolf" tour. 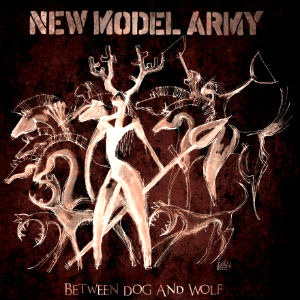 "Between Dog and Wolf", released last September, received some of New Model Army's best ever reviews in their 34 year career and was certainly their fastest selling album in 20 years, charting top 30 in UK and Germany and the major European tour through the end of last year reflected this success. The live album features songs recorded at London, Nottingham, Cambridge, Cologne and Amsterdam. "Between Wine and Blood" will be available as a limited edition double CD hardback book pack, a double vinyl gatefold album and digitally. It will be available to pre-order from Tuesday 15th July. Initial quantities of CD and LP will be signed by the band and available individually, together or as a bundle with a brand new t-shirt featuring Joolz Denby's album artwork.